The world as we will know it is far different from the future once predicted in simpler times. 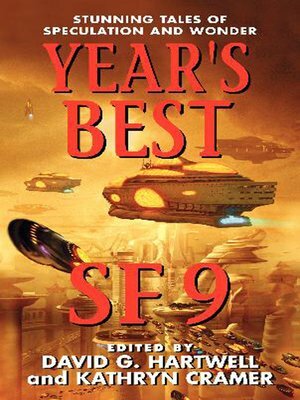 For this newest collection of the finest short form SF to appear in print over the preceding year, acclaimed editors and anthologists David G. Hartwell and Kathryn Cramer have gathered remarkable works that reflect a new sensibility. Courageous and diverse stories from some of the finest authors in the field grace this amazing volume -- adventures and discoveries, parables and warnings, carrying those eager to fly to far ends of a vast, ever-shifting universe of alien worlds, strange cultures, and mind-bending technologies. Tomorrow has never been as spellbinding, terrifying, or transforming as it is here, today, in these extraordinary pages. Hang on!